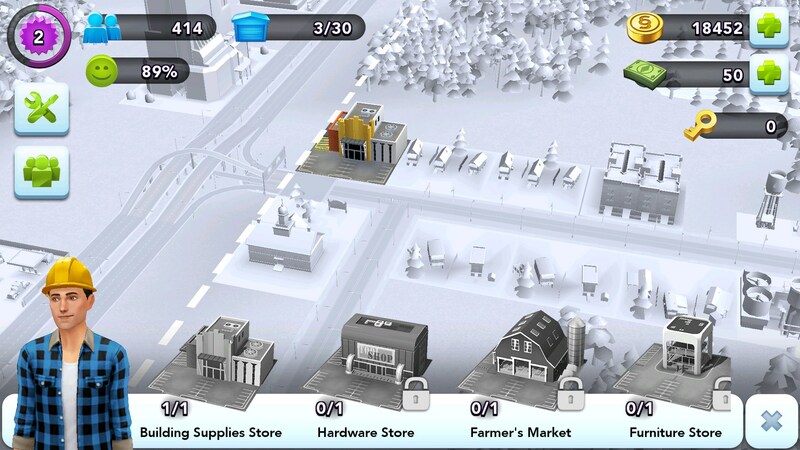 SimCity BuildIt – Games for Android 2018 – Free download. 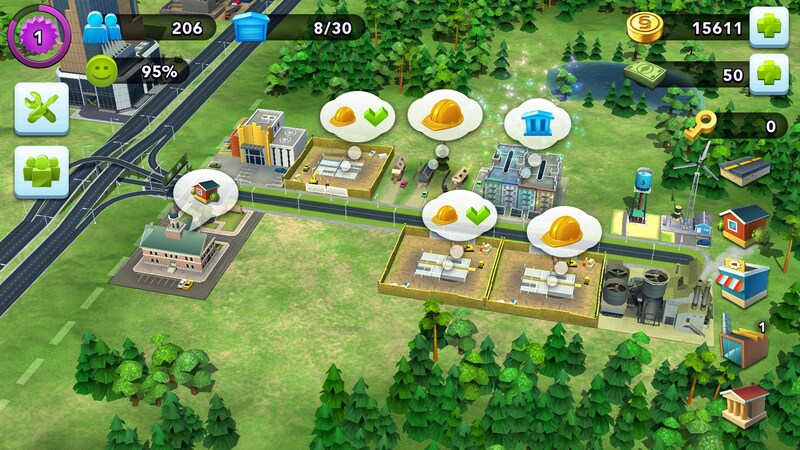 SimCity BuildIt – A good SimCity game. 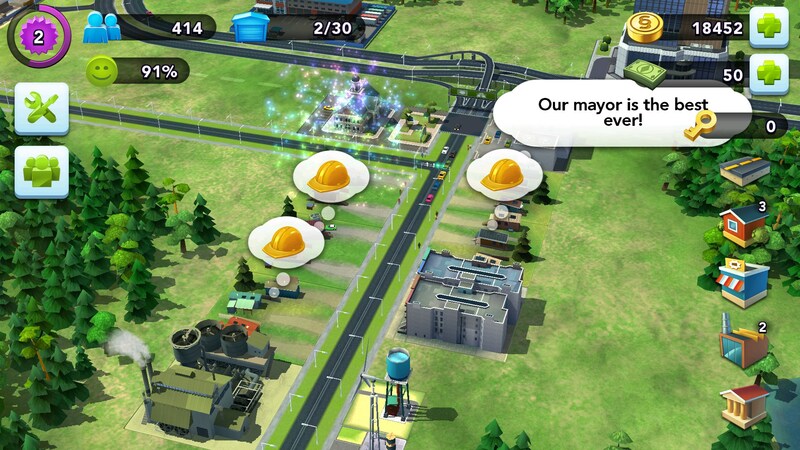 SimCity BuildIt for Android is a proper city builder that manages to stay afloat in a sea that’s full of sunken ships. The Play Store is flooded with city builders, but this one manages to look great, feel great, and not weigh you down with a heavy freemium microtransactions; though they certainly exist. This game starts off with a heavy-handed tutorial that introduces you to a lot of mechanics that don’t really need to be introduced. 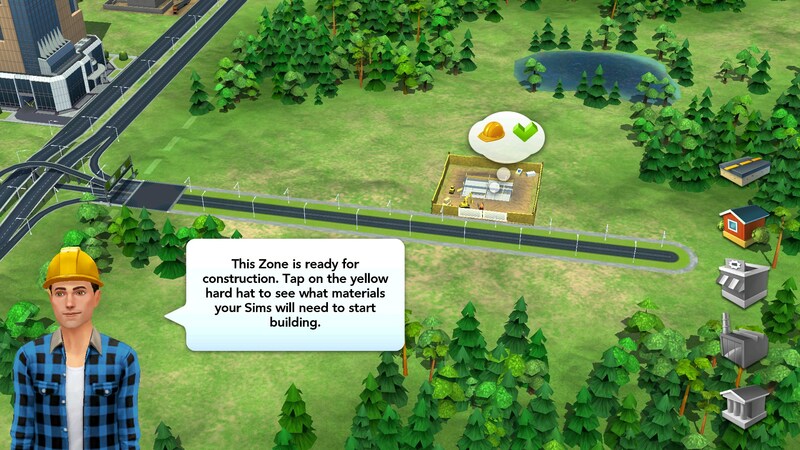 It’s the same story you’ve heard before: build residential lots so Sims move in. The more Sims you have, the more money you’ll accrue over time. Additionally, there are factories to produce resources to upgrade your buildings; with other buildings offering a ton of different benefits as well. Cities in this game feel pretty alive, but in a much different way than you might imagine. Some city builders have cars randomly driving up and down roads that do absolutely nothing but exist to make it seem like your city is building. 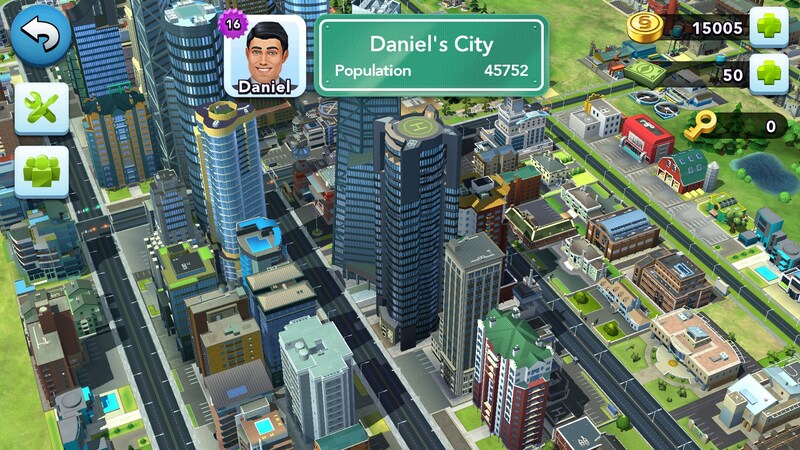 In this game, your city actually grows in front of you as you upgrade it. A simple house eventually becomes a huge apartment complex and business become huge skyscrapers. Everything feels emergent and dynamic. My biggest complaint is that they haven’t managed the rate that resources are generated in a balanced way. I’ll have to continuously play to gather smaller resources that are used to create more scarce resources. The common ones might take a minute or two whereas the more uncommon ones can take hours. It makes everything seem like busy work in a way that isn’t very fun. 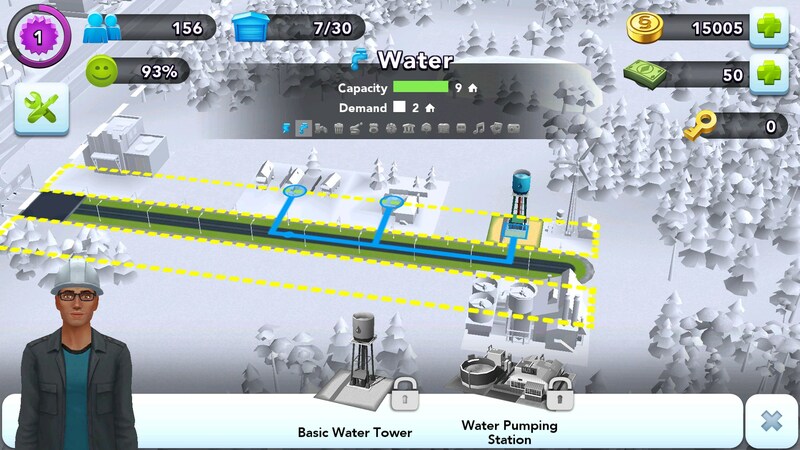 SimCity BuildIt is much better received than SimCity 4. The game looks beautiful, and it’s amazing to see such a beautiful city expand on my mobile device. 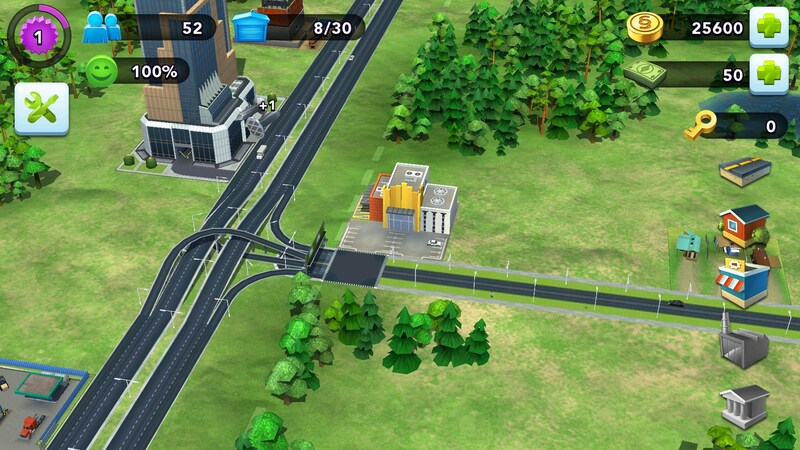 I have loaded sim city build it onto my kindle fire but can not malicious and move things or draw roads. The entire map moves instead. Please help! cant update with playstore why? Huawei ascend p6 version 4.4.2 not compatible why? If you click on the text that says your device is incompatible, it should give you a reason why. to a SD card moved it to the tab, no sucsess, the tab cant pick up the game. According to system requirements jelly bean is needed which I have. Hi there, can you just install the game directly from playstore onto your tablet? What happens when you launch the app? Black screen? What does it say on the playstore? Incompatible? Hi there, Jesse, there are download links above the review. Just tap on "free version" to go to the Play store, where you can download this directly on your tab, or remotely from your PC. Game downloaded but will not run on my archos 97 carbon. Unfortunately if Google Play indicates an incompatibility then there is not much you can do about it. i am using samsung galaxy tab4 but i fail to download simcity buildit, it shows not compatible. Unfortunately if Google Play indicates that an app is incompatible with your device then there is not much you can do about it, though I am not sure why yours is incompatible. not working with zenfone 5 it wont let me download, please fix it. As I mentioned in your other comment, I still believe the issue is related to the device. In any case, we have no control over the apps we review. You should take this issue up with the developers. Google should mention the hardware specification requirement for all apps in Google play. Then easy for us to purchase a new phone that meet the requirement and meet our budget. I completely agree. Google Play should have all the specifications required. Unfortunately compatibility is a bit more tricky on Android than on a PC, yet they should still let us know. I'm using zenfone 5 too and there is the same problem for me too. In the play store, it says " your device isn't compatible with this version.". I've done all uptades and now ı'm using 4.4.2 version. My friend is using General Mobile Discovery, android versions are same, also his phone's ram is worse than mine. Any solution or help pls? It is quite possible that the problem be simply with Google Play, although you cannot compare apps available for iOS with their Google Play counterparts. They are inherently different and many iOS apps are designed to be handled differently due to the different device components. Unfortunately some device are simply incompatible with certain apps. In your case I believe it is due to the fact that your device is a dual core, while your friend's General Mobile Discovery is a quad core device. It is possible that the app requires a powerful processor in order to run. it says that it's not compatible with my samsung galaxy tab 3 with version of 4.4.2. any help pls? Unfortunately as I mentioned in previous comments, some devices are simply incompatible. In your case I believe this is due to your Samsung Tab's processor being a dual core, while the game requires a more powerful processor. What seems to be the trouble installing the game? Perhaps I can assist. I believe this is due to your device's dual core processor, while the app requires a more powerful processor in order to run. Unfortunately some devices are simply incompatible with certain apps. I believe the game should work on the device. What exactly is the issue that occurs when attempting to download and install the app? Please make sure to include any error messages displayed.